A crown was created with the power of goodness. A magic that comes from being a good person. From doing the right thing. This crown has sat upon the head of many a good princess, and queen. Many good witches. All of whom fought against the forces of darkness. Of evil. The forces who try to break down the goodness in all of us. Now, the time has come that this magic Adult Sparkle Witch Crown has come to you. It is your turn to go up against the forces of evil. The ne're do wellers, who let the darkness take them, need someone to lead them into the goodness. Into the light. With this crown you can be the person they look up to. The one they cheer for in the streets. Just like in a fairy tale. 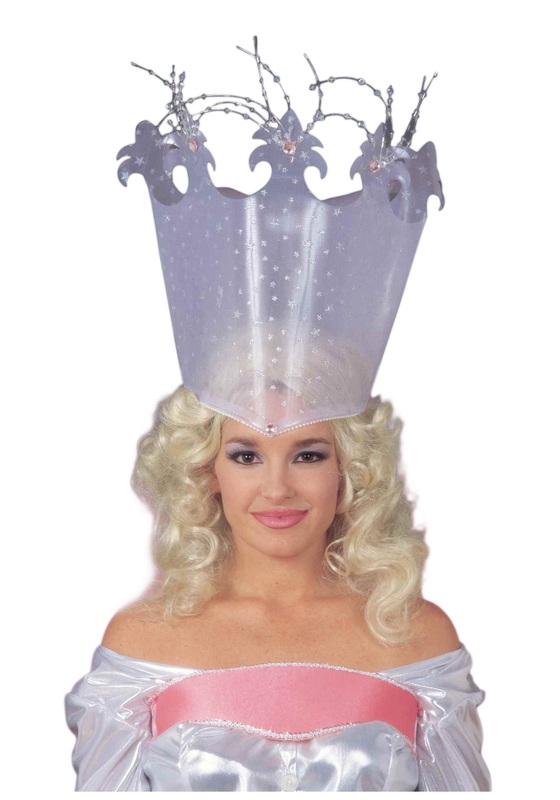 For my Glinda persona, a majestic crown was needed. This headpiece arrived with two of the jewels having fallen off and the streamers can off as they were not glued on well. There are deep folds I three places that could not be flattened as it is made of very stiff plastic which also made it difficult to stay closed with the small Velcro closures. 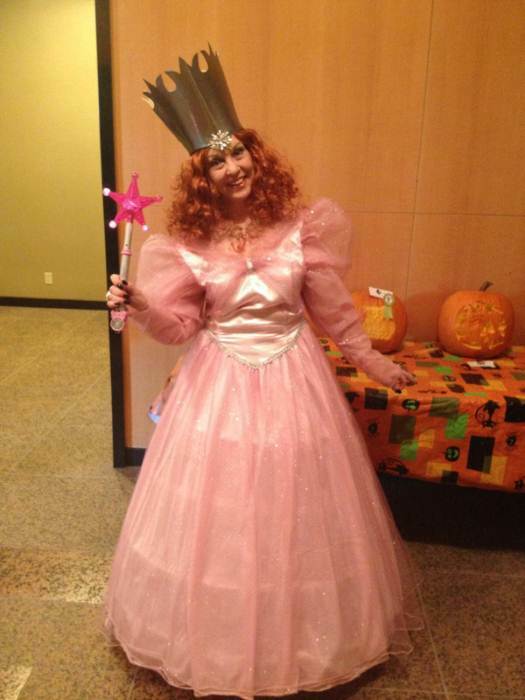 Luckily, I had a crown from my prior Glinda costume! The gown I bought was fabulous... It all worked in out in the end. I didn't end up wearing this one as the costume I purchased came with one ( I missed that when ordering). I will say it is super cute and I will keep it for future use. Yes, it has creases.....it has tadahhh......they are not going to ship it in a hat box !!!!!!!!! I laid it on my ironing board, and put a towel on it, and steamed it flat. Then put card board and something heavy on it until it cooled and went flat. Very happy that it fits. Most of the hats don't fit my head and I have to adjust them some way. Very happy with the crown. This crown really isn't pretty. It is also made of really stiff plastic and has deep grooves in it from the packaging. Maybe we can get them out, maybe not. Mostly, it just isn't "magical". Certainly not worth the price. The crown was too small to use with a wig. Had to add a 2" piece in the back.. Received product cracked from being bent during shipping. It was very thin plastic. Not worth the $15.00 I spent on it.